In October 1827, Europe witnessed the last major naval battle to be fought entirely by sailing ships. This was the Battle of Navarino in Greece, on the west coast of the Peloponnese Peninsula. The occasion was the Greek War of Independence, and although the war dragged on for another five years, this victory at sea for the home side – with assistance from British, French and Russian warships – was a key step towards Greece’s eventual successful secession from the Ottoman Empire, which itself would collapse after the First World War. Here endeth the history lesson. The Bay of Navarino is a rather more peaceful place these days, perhaps especially if one is staying at the Costa Navarino resort near the town of Pylos. Which I was. It is a rather luxurious location, described by the Hollywood actor, Bill Murray, as the “the best resort I’ve ever been to” – and one imagines he has been to quite a few. Architecturally, it is attractively understated, as you might gather from the photo on the home page. 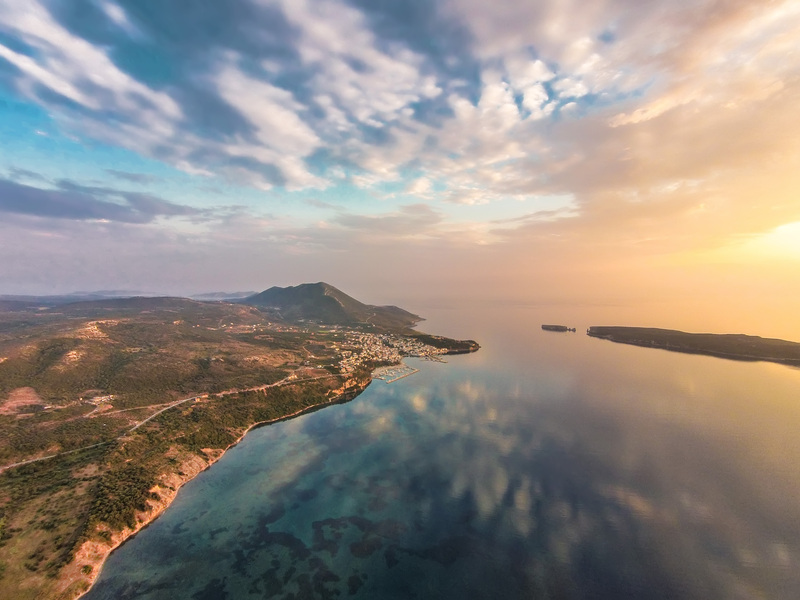 The resort is about a three-hour drive from Athens; only around 40 minutes from the airport at Kalamata, which is open to flights from the UK when the holiday season gets underway – like about now, although the ultimate goal of Costa Navarino is to become a year-round destination. 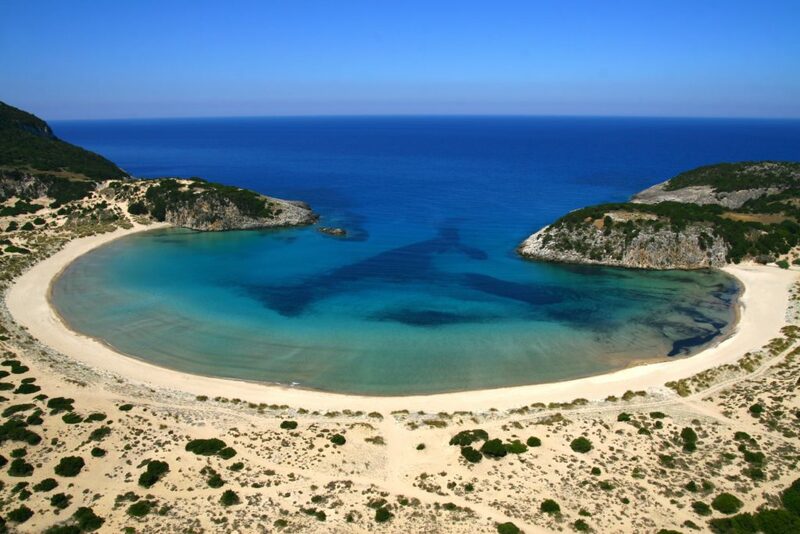 Among the myriad natural attractions is Voidokilia Beach. The word means ‘ox belly’, although the strong impression irrespective of the language you speak is that it is in the shape of Omega, the last letter of the Greek alphabet (as well as being a high-end model of watch). Because it backs on to a nature reserve there has been no property development around it, so its glorious sands and limpid waters likely look much as they did when Homer was writing about it in his Odyssey, sometime back in the 8th century – certainly well before the Kindle was invented. The final two photos here depict food and drink. 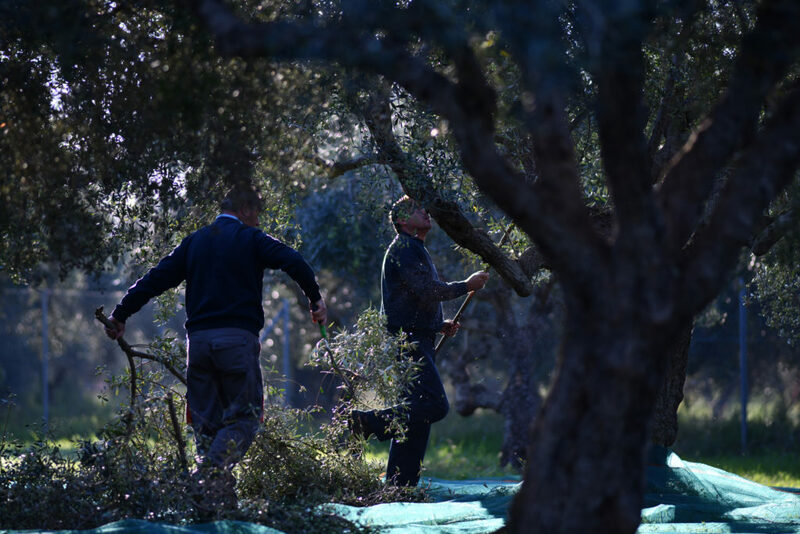 Olives are abundant in Greece and at Costa Navarino they have undertaken the most comprehensive olive-tree transplantation project in Europe. I knew something about olives before my trip and my visit did confirm how glorious a good Greek salad can be, olive oil very much involved with that. 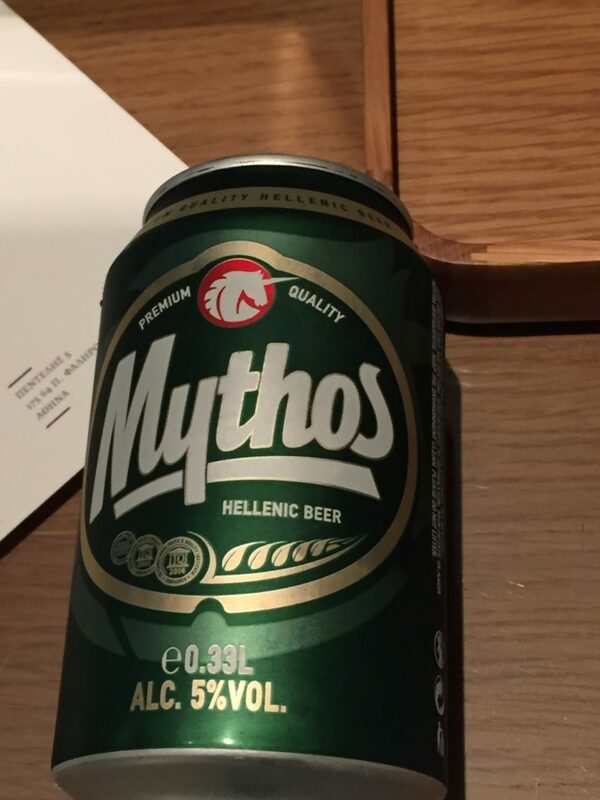 I was not, however, previously aware of Mythos, a local brew with a somehow appropriate name. By bizarre coincidence it’s a brand of beer mentioned in the new Robert Menasse novel, The Capital, about the workings of Brussels and the European Union. (Yes, I know, like I wasn’t getting enough of that from real-life farce without needing to supplement it with fiction.) I’m sure you know how that stuff goes; once something first comes to your attention, you start to notice it again. 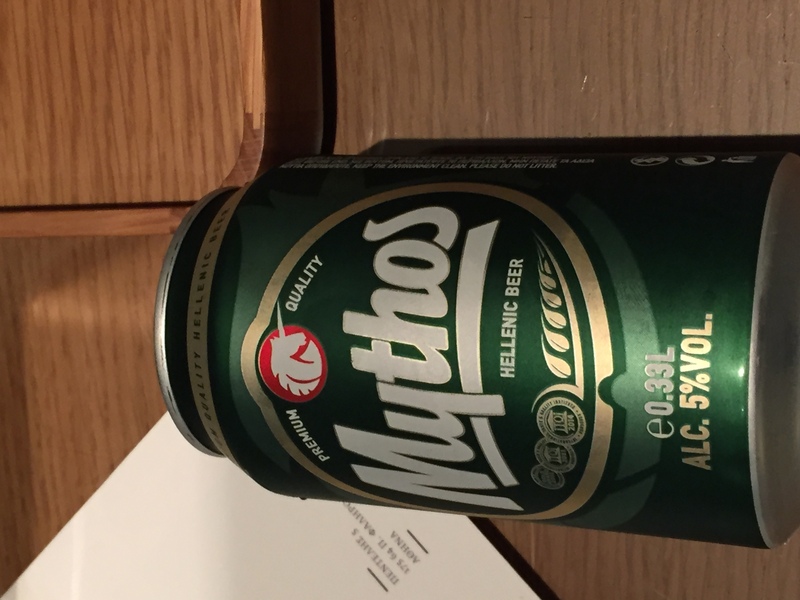 They’ll soon probably stock Mythos in the off-licence. To finish with another alcohol-related reference, the house wine (in all colours) at Costa Navarino is called 1827, named for the year of that aforementioned battle. The resort has two 18-hole golf courses, about which I shall be writing soonish, with two more under construction. I was thinking…if the new development turned out to be an 18-hole course and a 9-holer, The 1827 Club would be a very fitting name for it!